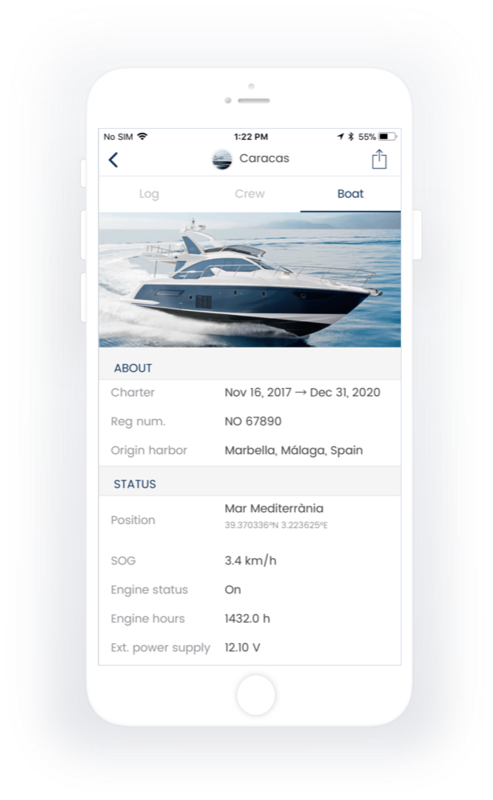 An innovative application that gives you constant connectivity with your yacht. We connect technology with safety on the water. ConnectedBoat ensures the safety of your boat when you are on it or when you leave it in the marina. When it is a matter of safety, keep your finger on the pulse. The ConnectedBoat application gives you on-line access to the key parameters of your boat. Notifications sent to your mobile phone, tablet or computer give you a chance to react immediately to any threat or danger. Feel safe, wherever you are. Thanks to our system of intelligent sensors, ConnectedBoat constantly monitors the status of key parameters. Increasing safety gives you peace of mind, no matter whether you are on the water, in the marina, at work or at home. Take care of your fleet. Put safety first when renting out your boats – not only the safety of the crew, but also the safety of your boat. You want your boat to return in perfect condition and on time. Give your clients and yourself peace of mind and watch your business grow. SAILING IS FREEDOM, THE FEELING OF PEACE, JOY AND HAPPINESS. WHEN YOU START A CRUISE, YOU KNOW IT'S GOING TO BE ANOTHER AMAZING ADVENTURE. IT'S NOT JUST A WAY OF SPENDING YOUR FREE TIME, IT'S YOUR PASSION! At the end of a cruise, you go home. When you leave your boat, you lose direct control over it and you start to worry. Is it safe? Will it be ready to go when you next turn up? You know that your boat needs constant attention. FROM NOW IT IS POSSIBLE. 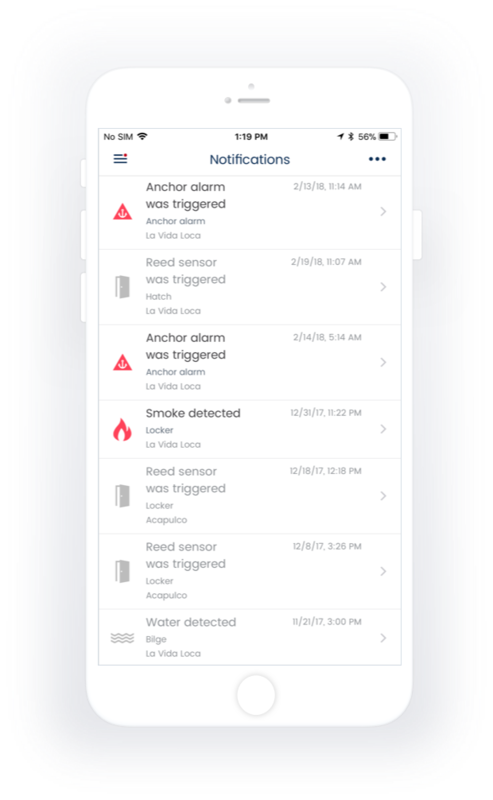 A SYSTEM OF INTELLIGENT SENSORS CONSTANTLY MONITORS THE STATUS OF YOUR BOAT, AND NOTIFICATIONS SENT TO YOUR MOBILE PHONE MAKES IT POSSIBLE FOR YOU TO REACT IMMEDIATELY TO ANY SITUATION. The ConnectedBoat application gives you on-line access to the key parameters of your boat. Increasing safety stops you worrying about leaving your boat unattended. It can also help to make sure that your boat is ready for the next cruise, so that nothing will upset your holiday plans. 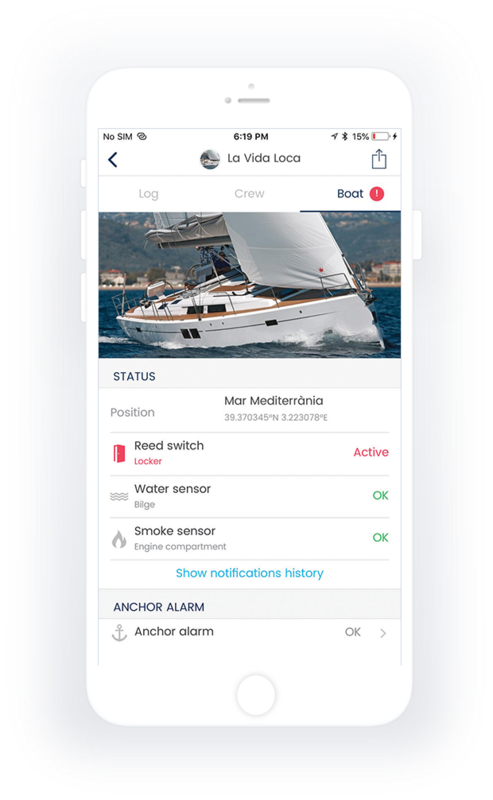 The easy and intuitive user interface of the application makes it possible to quickly check the key parameters of the boat and the status of the installed sensors. Keeping your finger on the pulse has never been this easy! 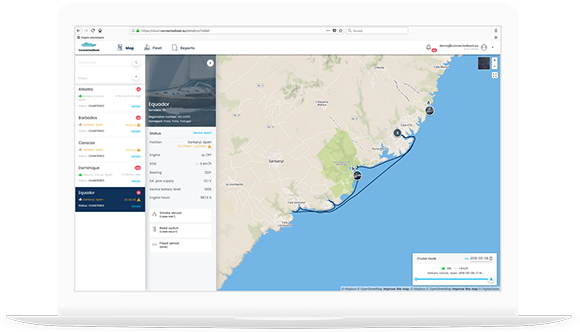 The application displays the route of every cruise made together with the location, the distance, the average speed and the number of engine hours. Easy access to information streamlines servicing and maintenance of your boat. LET YOUR FAMILY AND FRIENDS EXPERIENCE YOUR ADVENTURE WITH YOU. THE MOST IMPORTANT CRUISE DATA WILL BE AVAILABLE TO THEM 24 HOURS A DAY. 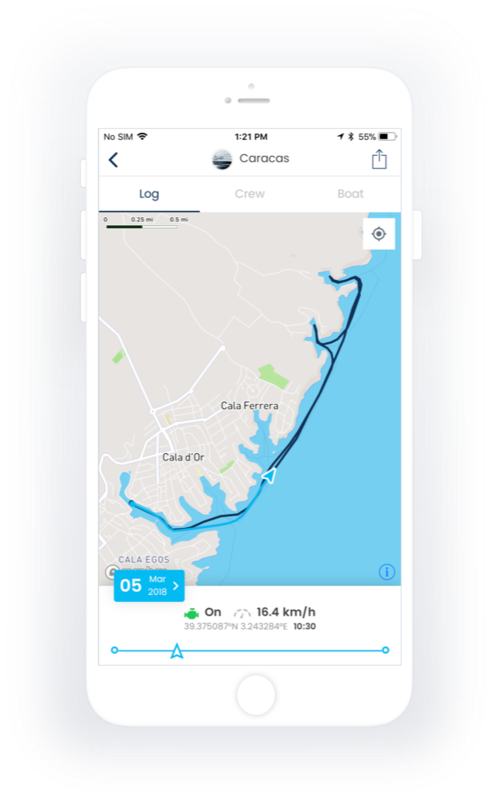 Information about your location, direction, speed and route history is constantly displayed thanks to ConnectedBoat. 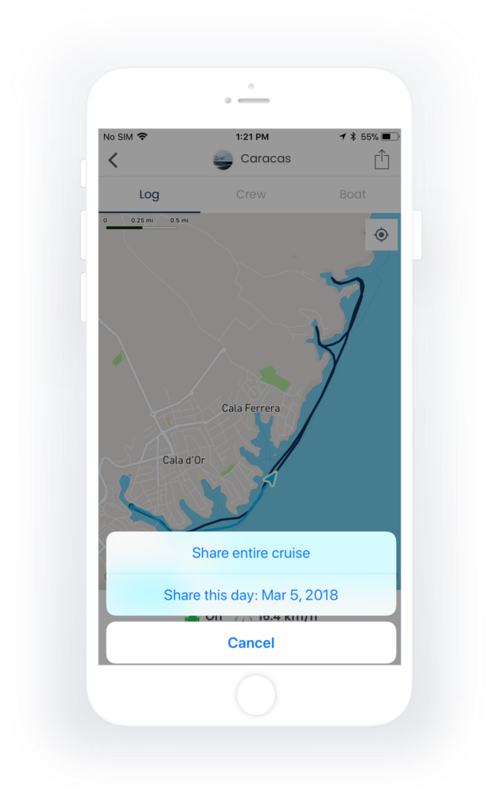 Giving access to the ConnectedBoat application to your family and friends lets them experience your cruise with you in real time, while being sure that you are always safe. At any moment, you can remotely check the location, direction and speed of your boat. Your family can see whether your cruise is following the plan. 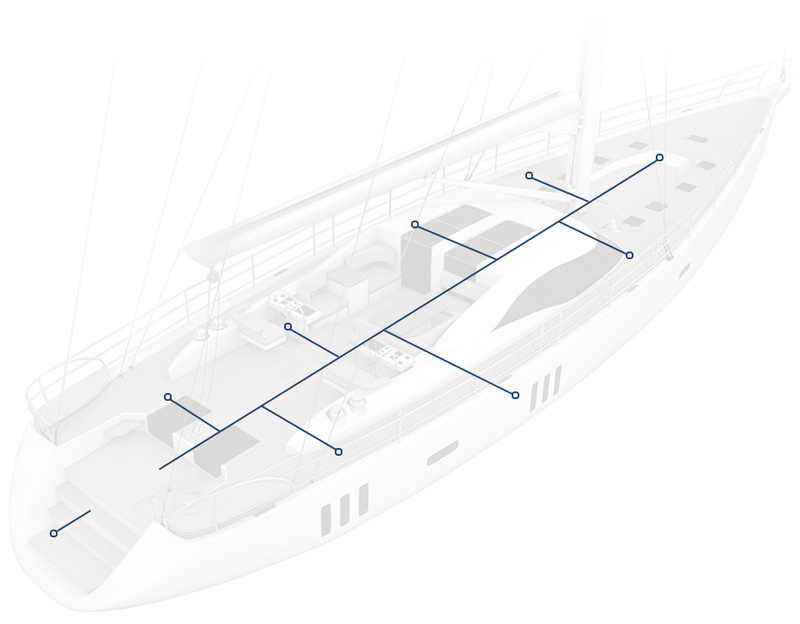 The ConnectedBoat application can activate an alarm if your boat leaves a specified zone. You can set the size of the zone so that you can enjoy resting after a successful cruise. 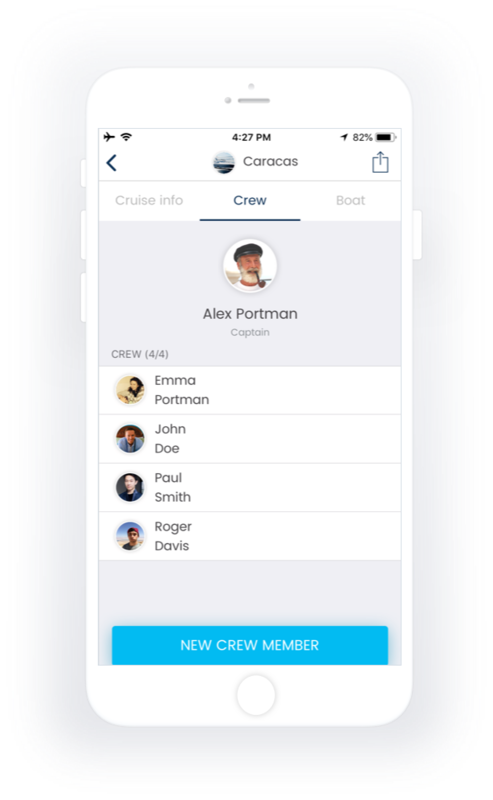 CONNECTEDBOAT CONNECTS YOU AND YOUR FAMILY WITH OTHER CREWS WHEN YOU GO ON A CRUISING HOLIDAY TOGETHER. YOU CAN ONLY FULLY EXPERIENCE AN ADVENTURE WHEN YOU CAN SHARE IT WITH OTHERS. At any moment, you can publish on social media directly from the ConnectedBoat application the route travelled, the current location and the location of interesting places you have visited. You can give access to key parameters to an unlimited number of people. Let your family and friends know that you are safe and having a great time! WHEN YOU RENT A BOAT OUT, IT’S IMPORTANT TO YOU THAT YOUR CLIENTS HAVE A GREAT TIME ON THE WATER AND RETURN TO PORT HAPPY. However, safety is the top priority – not only the safety of the crew, But also the safety of your boat. You want your boat to return in perfect condition and on time. Give your clients and yourself peace of mind and watch your business grow. A SYSTEM OF INTELLIGENT SENSORS CONSTANTLY MONITORS THE STATUS OF YOUR BOATS, AND NOTIFICATIONS GIVE YOU A CHANCE TO REACT IMMEDIATELY TO DANGER. Give your boats the protection they need, so that you can use them to their full potential, and in case of danger so that you can react immediately to minimise any loss. 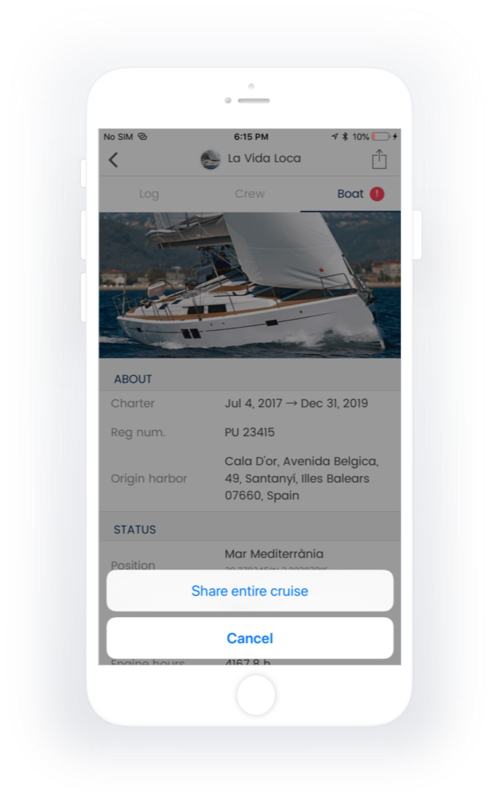 Thanks to the "give access to cruise data" feature and social media posts, your clients will promote your business among their friends. They know that if they have a problem then help will arrive quickly, because you are constantly monitoring their safety. You no longer have to worry about the safety of your outboard engine. Thanks to the anti-theft cable, ConnectedBoat raises the alarm immediately if somebody removes the engine. The location of your boat is constantly recorded and sent over the mobile network to our servers and to your mobile phone. You always know where your boat is – especially if you have a charter business or if you have lent your boat to friends for the weekend. Smoke or high temperature in the engine room or in the main cabin are particularly dangerous. 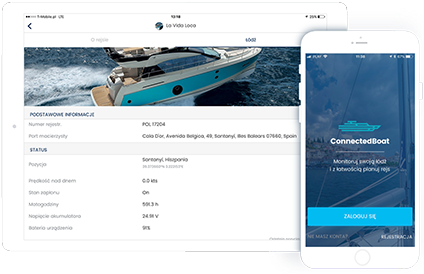 ConnectedBoat sends a notification directly to your mobile phone, making it possible to react quickly. Taking on water is one of the most dangerous problems on a boat. You will receive a notification immediately when the water level in the bilge is higher than normal. ConnectedBoat can also automatically activate a sound alarm to draw attention to the port staff. Magnetic contacts are used to record door and window openings and closings on your boat giving protection against theft or damage. A notification is sent to you about every opening or closing of doors, windows and, for example, the engine compartment. At any moment, you can remotely check the speed of your boat, and even see where your boat was at any particular time and what its speed was. You no longer have to wonder when the boat was last serviced or how many hours the boat has been sailing for – you can quickly check this in the ConnectedBoat application. Be informed about what’s happening on your boat when you are not there. You will receive notification of any movement in the main cabin or any other room. With a fully charged battery, you can be sure that your planned holiday will not be interrupted by a nasty shock. If your boat has not been used regularly or if the battery is old, then you can check its status on-line and be certain that it is ready to start the engine. When you leave your boat unattended at anchor, rest assured that it will not move. 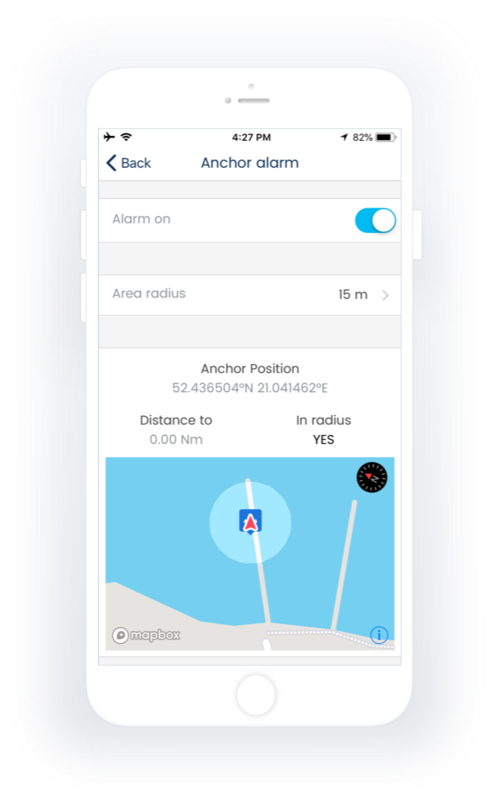 The ConnectedBoat application can activate an alarm if your boat leaves a specified zone. You can set the size of the zone so that you can enjoy resting after a successful cruise. The main unit is the heart of the ConnectedBoat system. Its purpose is to determine the position of the boat, to control the battery charge status and to provide information on the ignition status (on/off). It is also responsible for managing all connected sensors and transmitting collected data to the servers. I agree to the processing of my personal data by Connected Boat Sp. z o.o. for the purpose of direct marketing by e-mail. I submit my personal data voluntarily and declare that they are true. You will soon receive an email with access to the ConnectedBoat demo account.